Rain was formed in 1986 as a three piece composed of Eli Janney, Jon Kirschten, and Bert Queiroz. While Bert was a veteran player in the D.C. scene — having been in the Untouchables, Youth Brigade, Double O and Second Wind — and though Jon had briefly played in a final incarnation of Gray Matter, Rain would be the first proper band for both Eli and him. Rain was inspired by the Revolution Summer musical movement in Washington D.C. and was one of the key bands of its second wave. 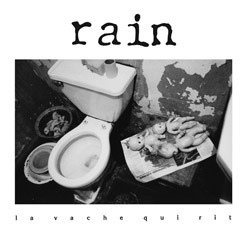 After playing a handful of gigs, Rain recorded twice in 1987‚ first in January with Geoff Turner at WGNS studios and a few months later at Inner Ear Studios with Ian MacKaye producing. Scott McCloud (of Lunchmeat and Soulside) joined the band as second guitarist just prior to the Inner Ear session, filling out the bands sound and adding some vocals of his own. 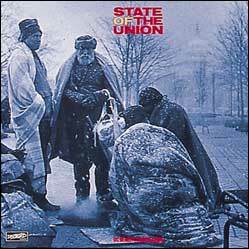 One track from the Inner Ear session, "Worlds At War", wound up being featured on the Dischord State of The Union compilation released in 1989. 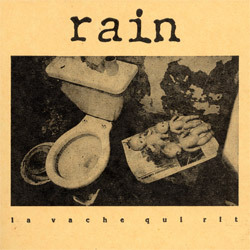 Later, the full Inner Ear session (along with one track from the WGNS session) would be released in 1990 as La Vache Qui Rit, a six song 12" on the Peterbilt label. Around this time, the band dissolved with each of the members going on to other projects; Eli and Scott would form Girls Against Boys, Bert Quieroz would join Manifesto and later Thunderball and Jon would play in The Chris Bald 96, Special K, and Las Mordidas.